Water Damage San Diego: Landlord Help in Water Emergencies! 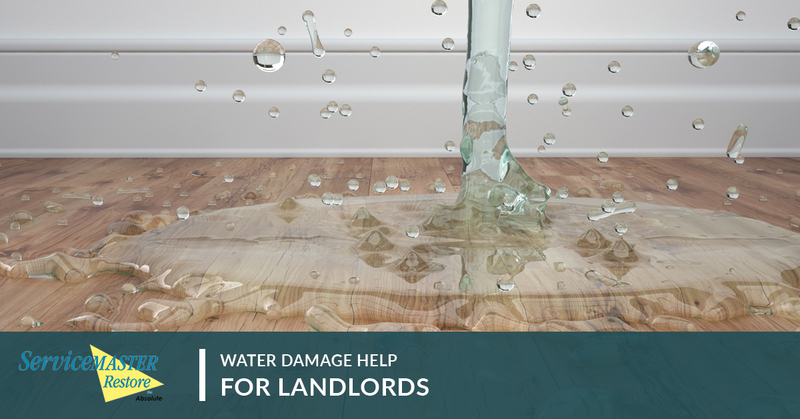 Water damage can be a serious issue for everyone—tenants and landlords included. In fact, water damage claims are the second most common type of claim when it comes to home insurance! With that said, how can landlords protect themselves from expensive water damage? And, even more pressing, what can they do when water damage problems do arise? Here are some of our top tips and tricks. We cannot stress this enough: Even if your tenants do renew their lease for another year, you should consider sending a repairman to take a look at everything, just to be safe. Check for leaks around the water heater and other appliances. Make sure the roof is in top condition. Even replace an old dishwasher to prevent water damage that could lead to replacing the floor! Keep in mind that even the smallest water damage problems can lead to massive issues eventually. While all this insurance seems expensive, it’s important to think of the long-term benefits. Otherwise, you could lose your tenant, your property, and your money. Some states require landlords to offer to pay for a hotel room or at least discount rent if the rented space can no longer be safely lived in. All homes must have running water and a toilet that works. If any water damage means that you need to turn off your water for more than a few hours, check both your lease and California laws for guidance on what to do. Also, figure out what caused the damage. In some cases, the tenant would be required to pay for the damage. Know what you can push back on, and be knowledgeable about the law before you take any action. When the leak is found, stop the water! Even an inch of water can damage an entire building, so be sure to act fast. Make sure to take pictures of the damage for insurance purposes, as this can help you with your claim after the disaster has been solved. As soon as you discover the problem, it’s important to call a team of professionals to help you. That’s where we come in! SM Absolute is here to help you! Contact our water damage experts for help with standing water and flood damage.